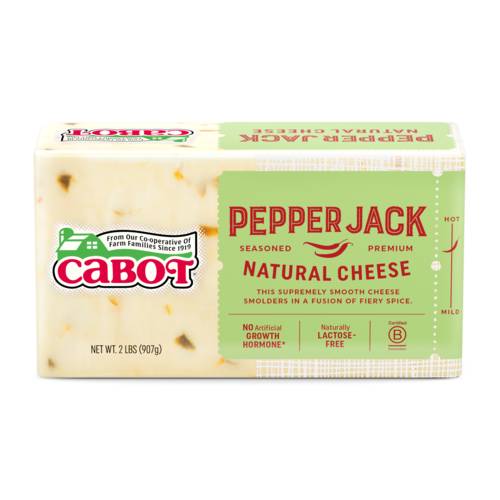 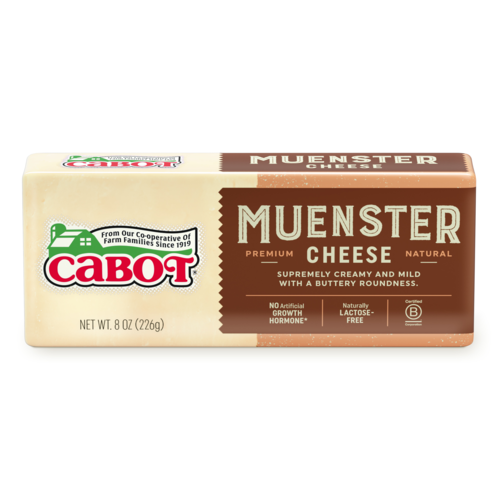 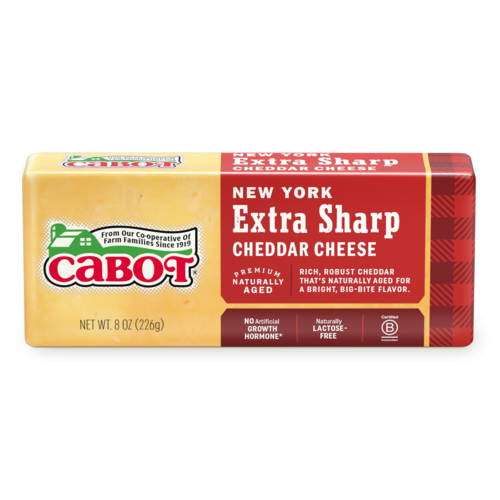 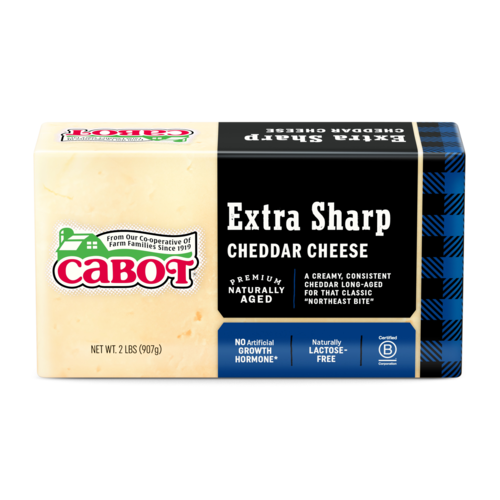 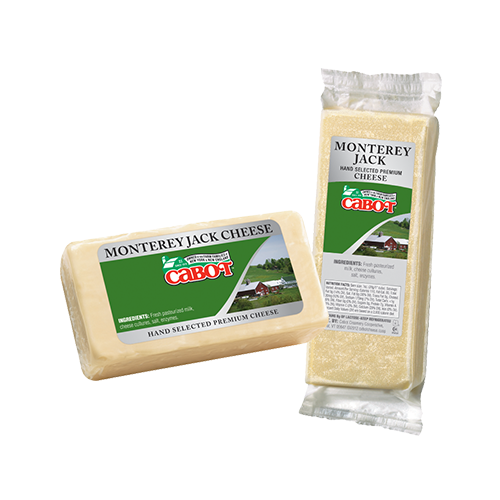 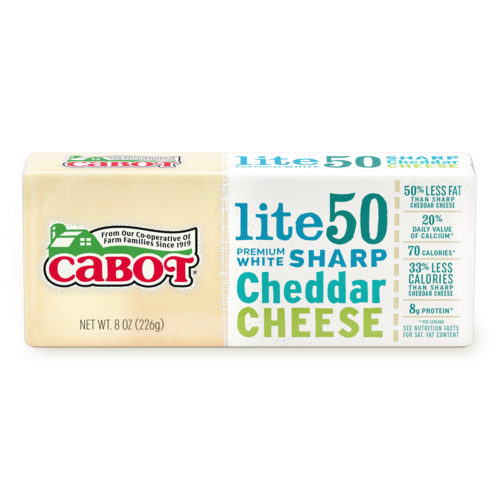 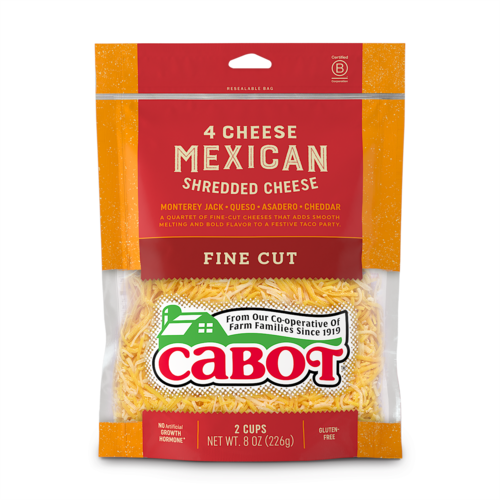 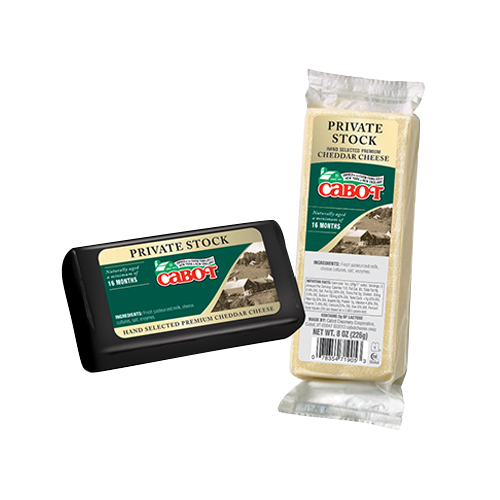 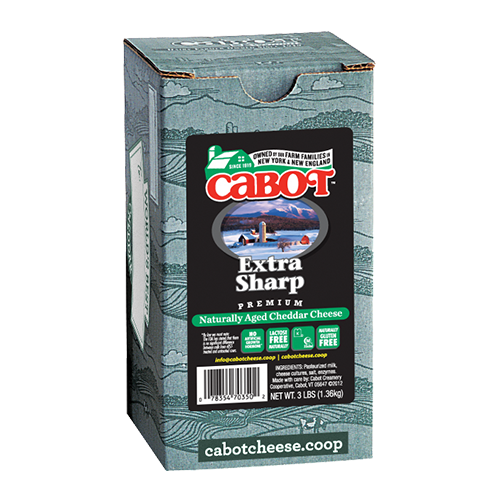 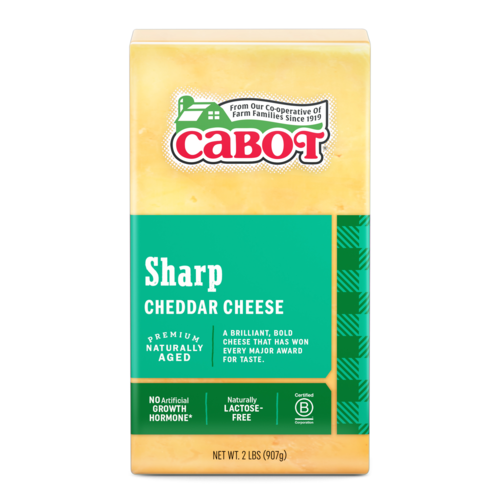 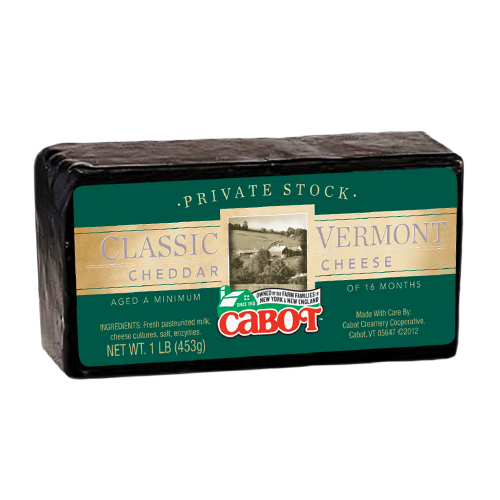 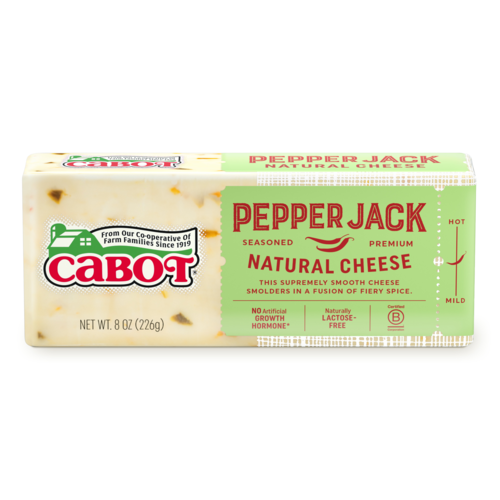 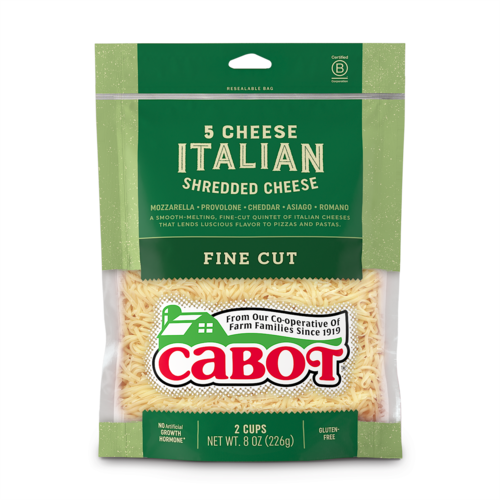 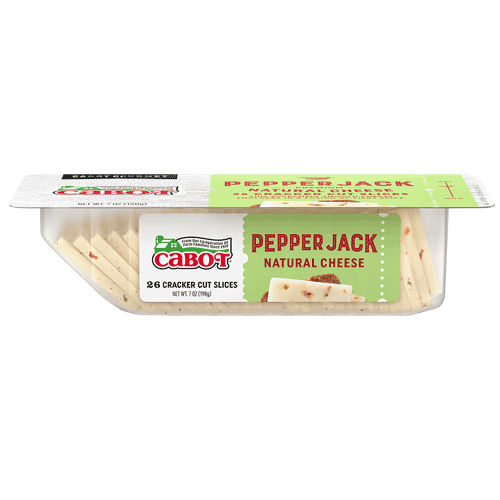 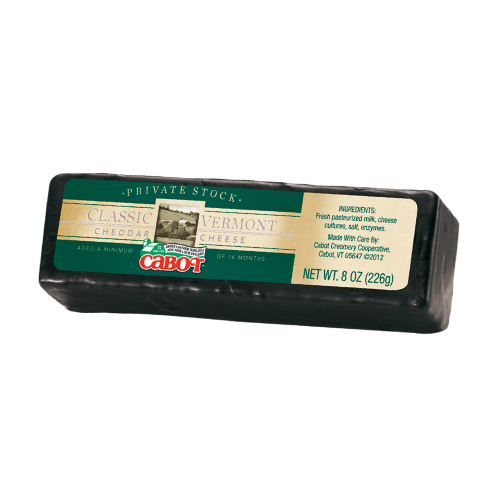 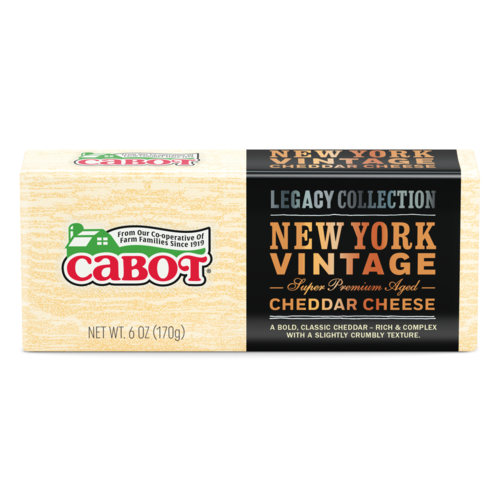 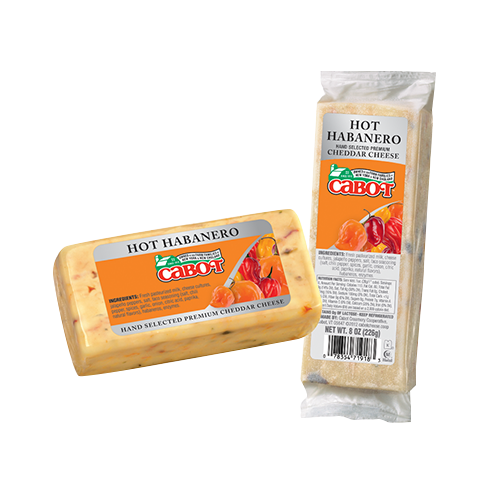 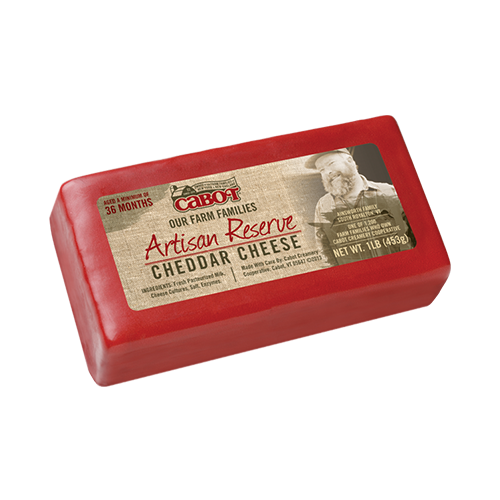 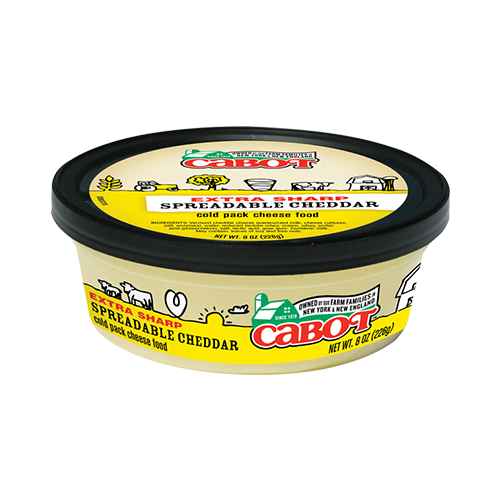 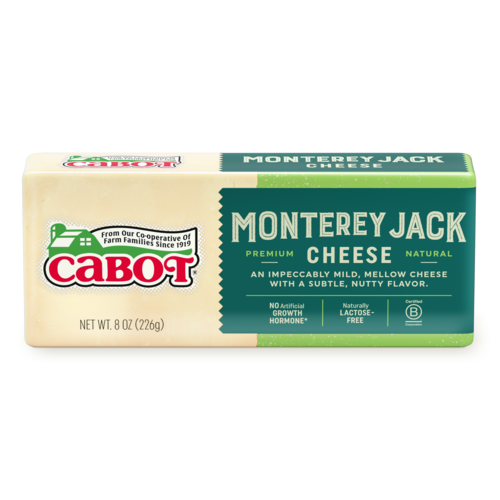 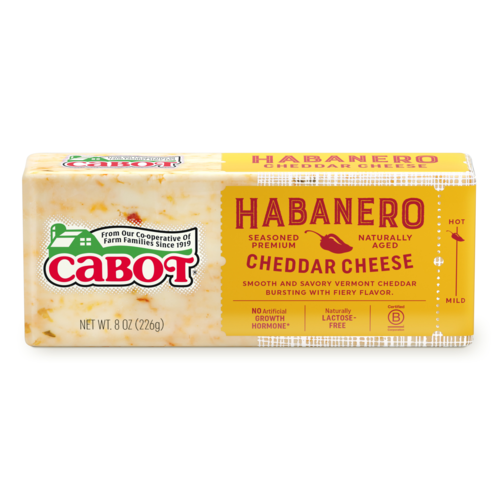 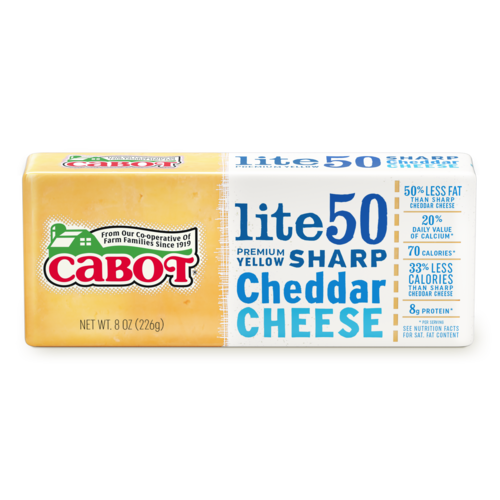 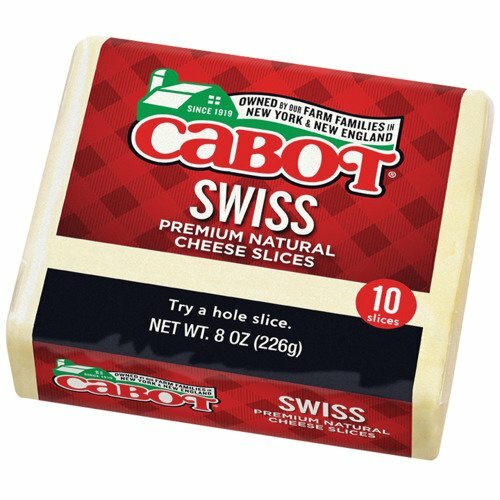 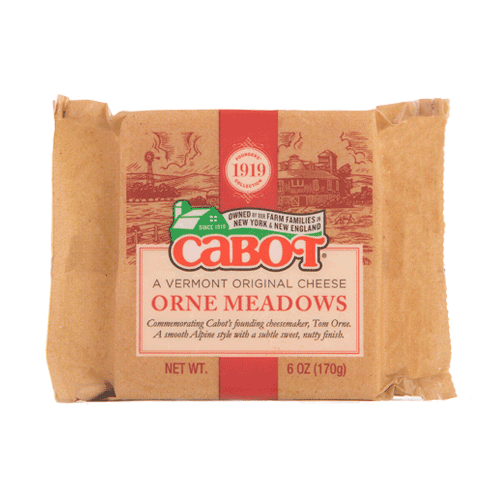 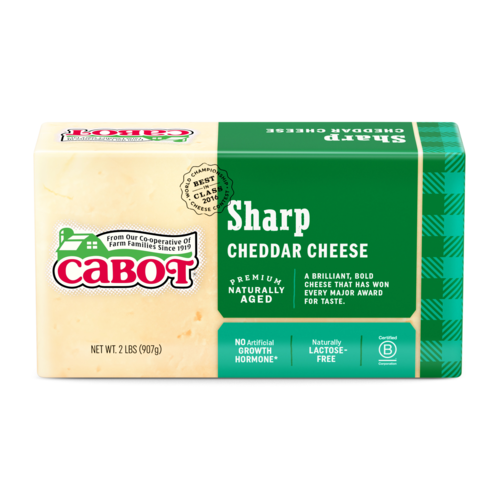 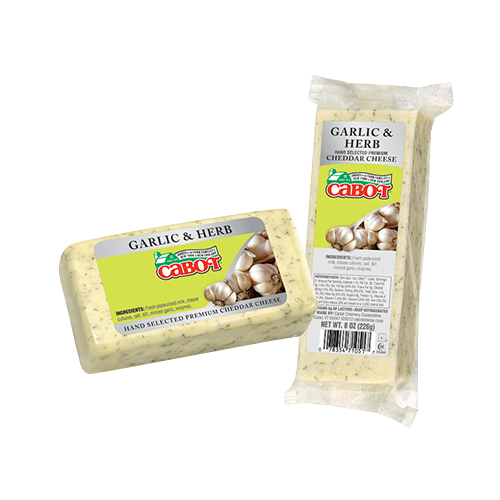 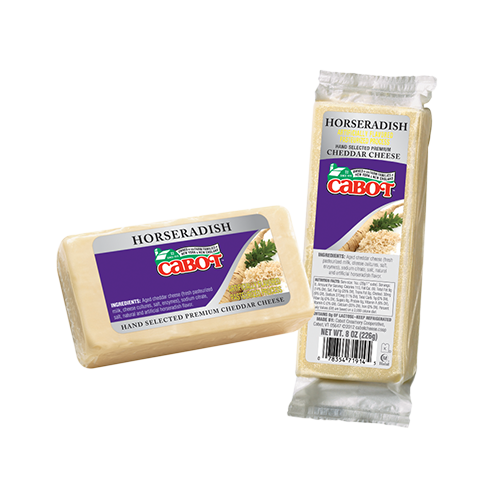 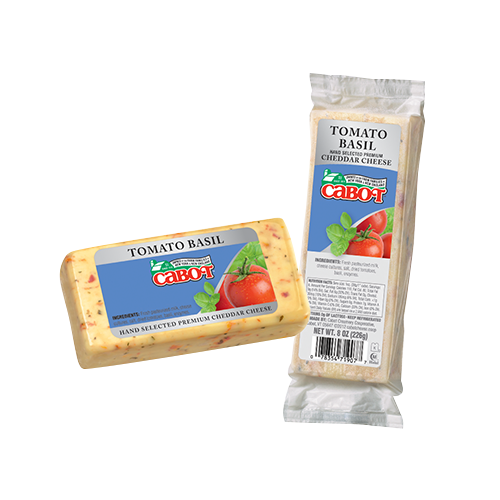 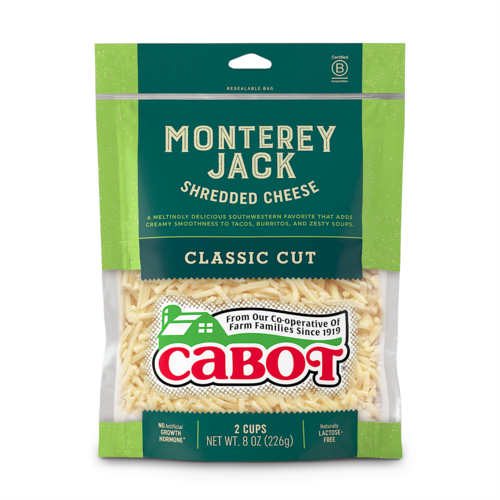 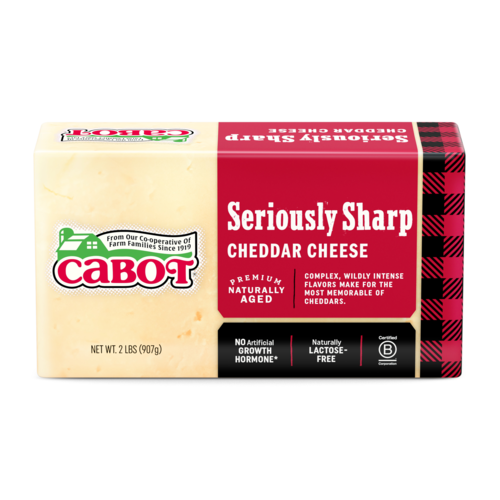 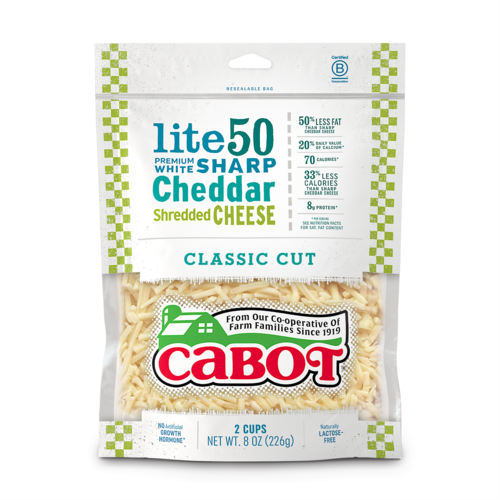 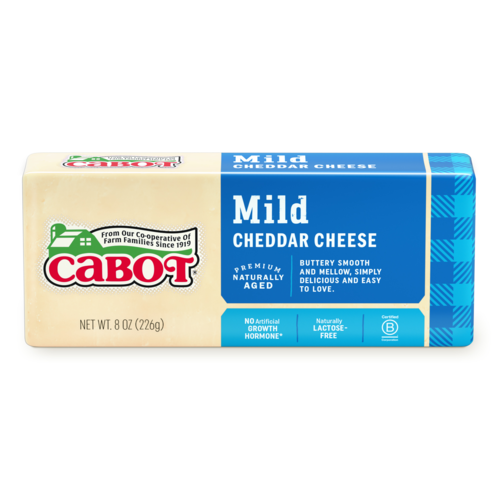 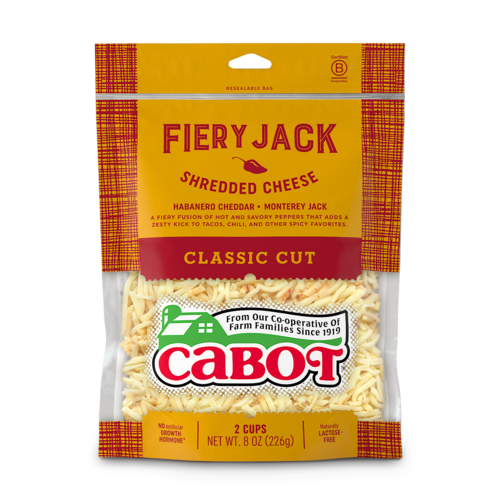 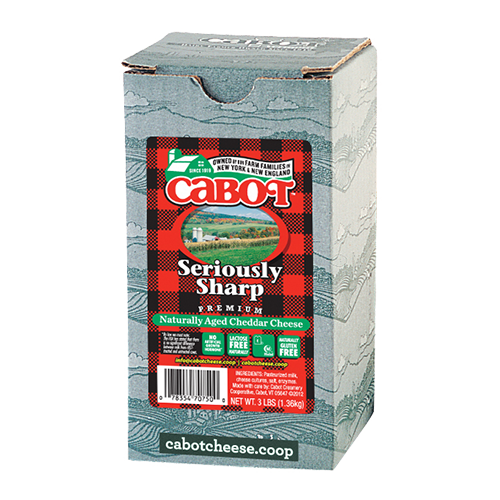 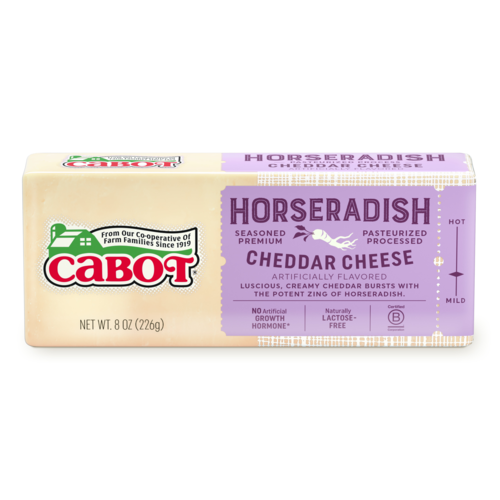 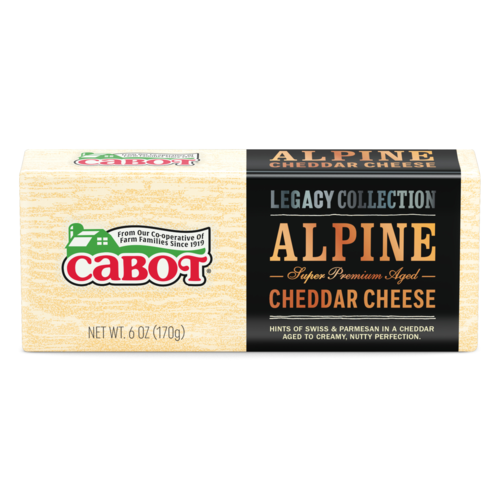 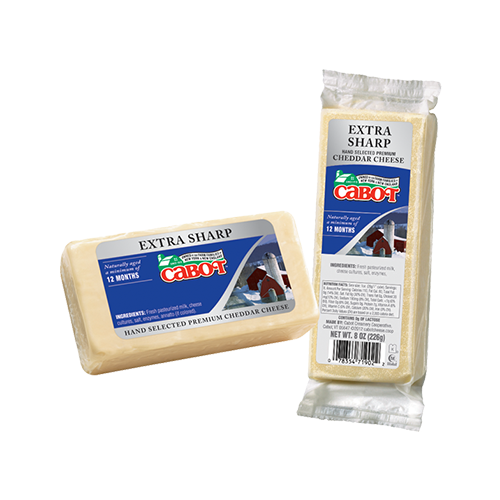 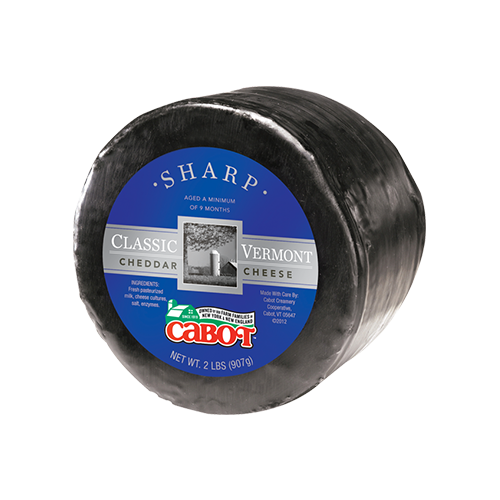 Cabot proudly offers a wide selection of award-winning cheeses made with pure, rich milk straight from our family farms. 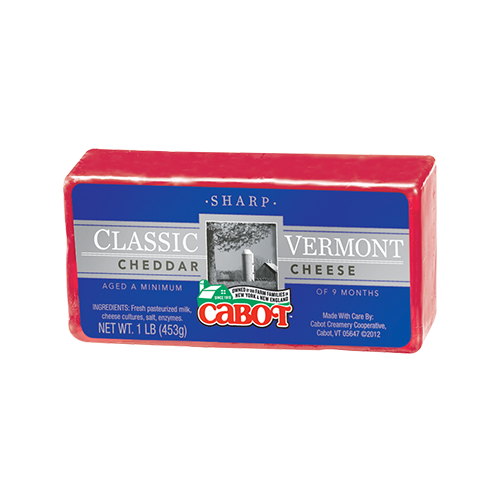 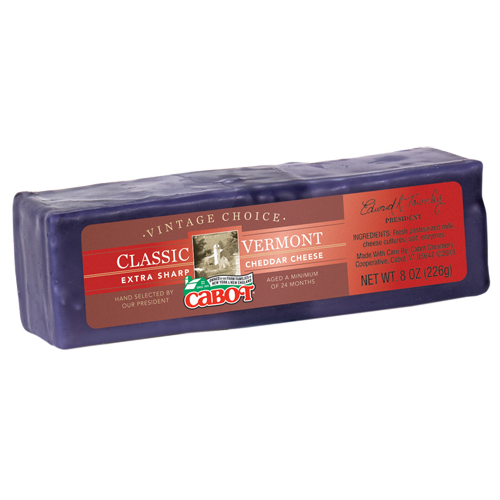 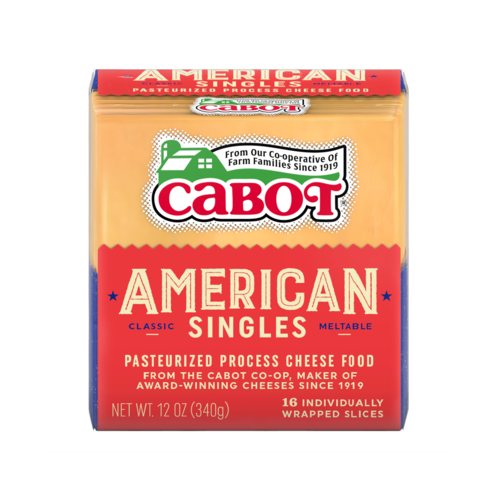 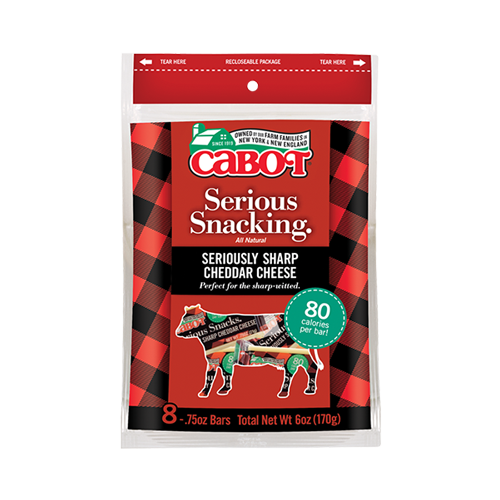 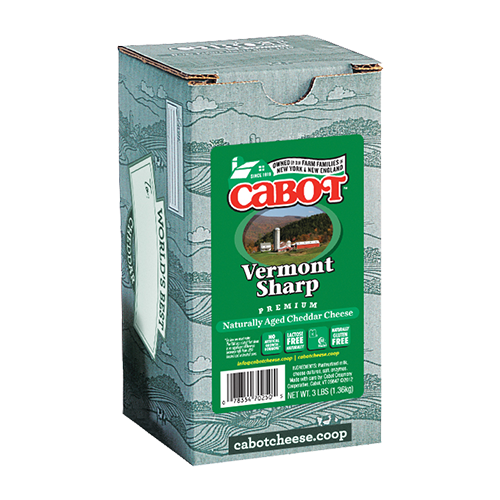 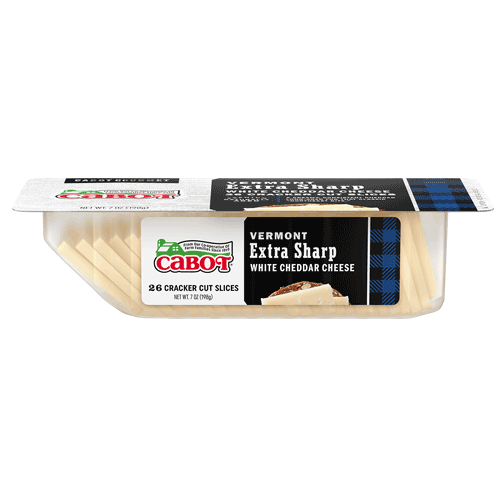 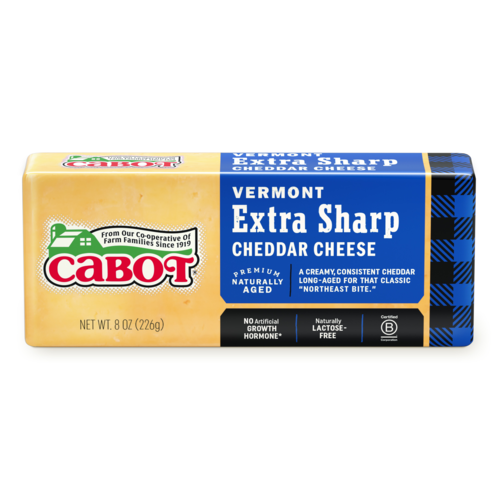 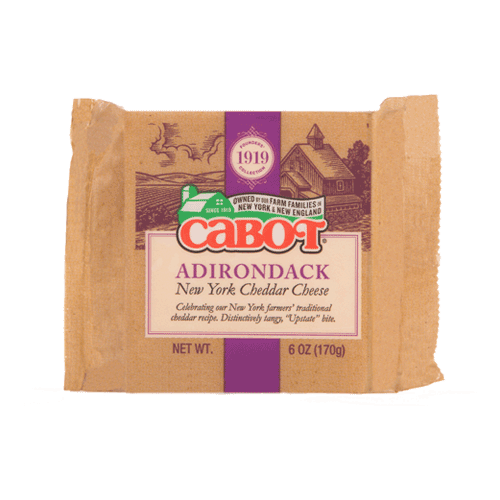 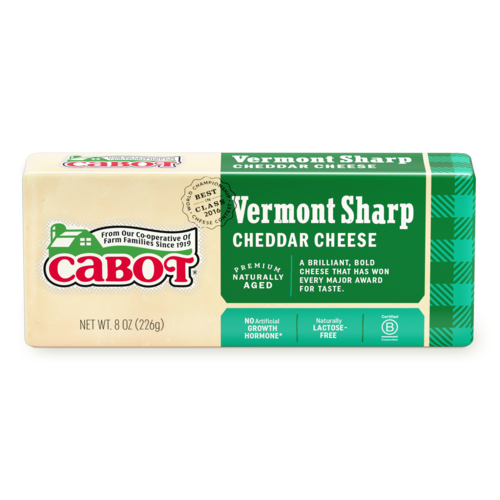 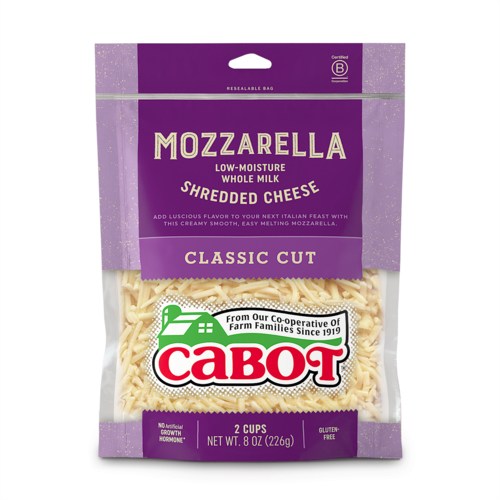 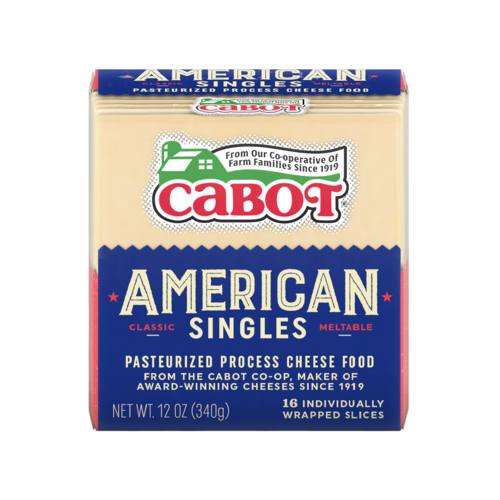 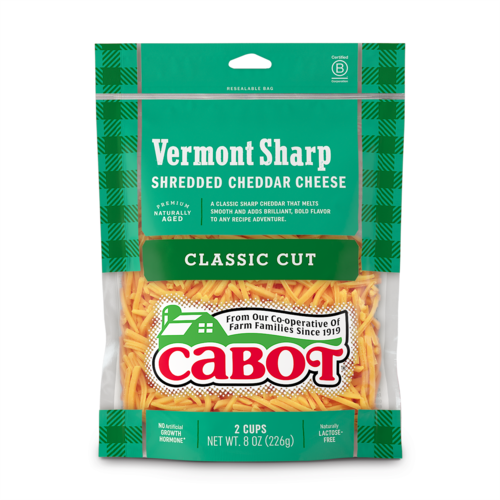 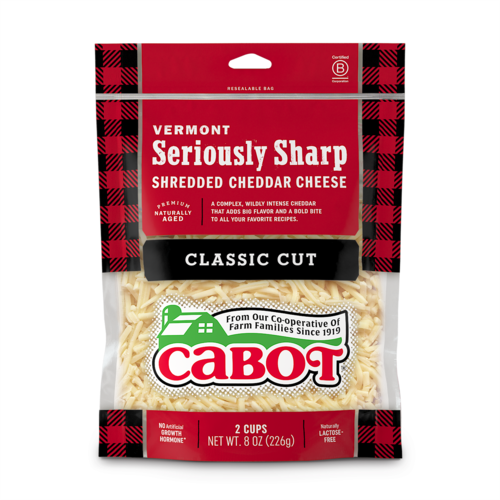 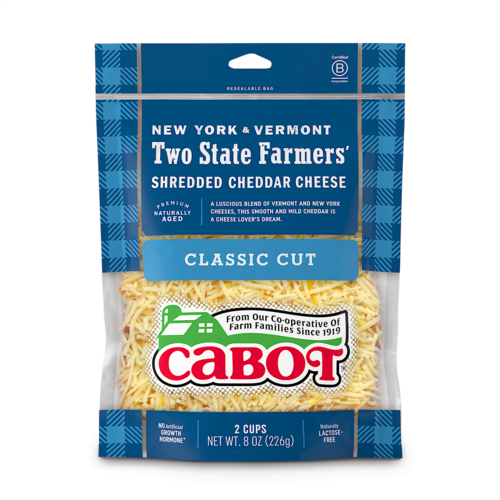 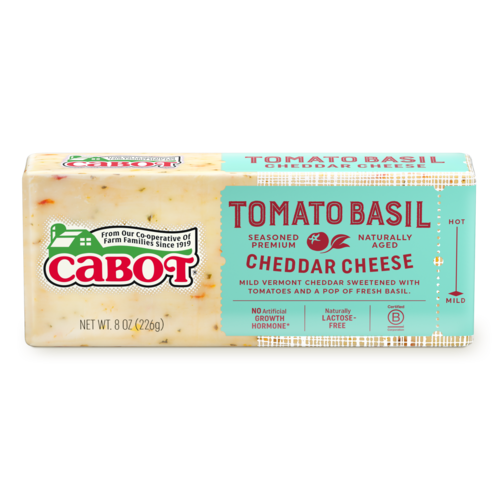 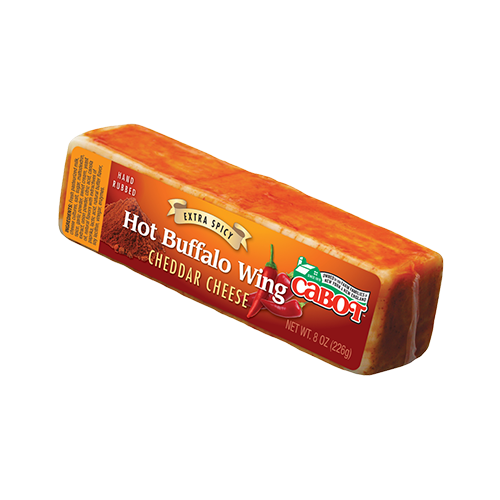 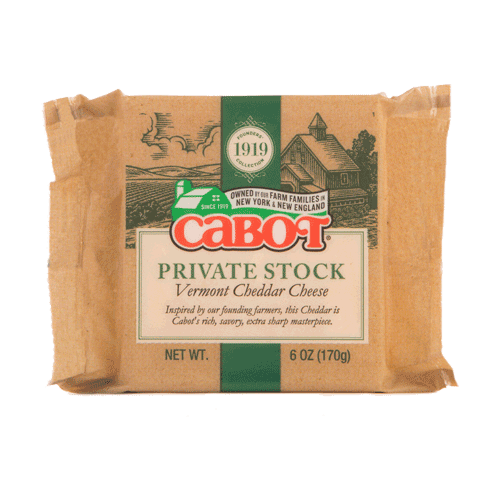 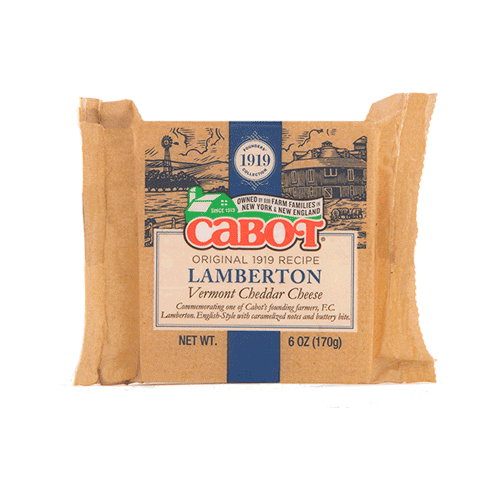 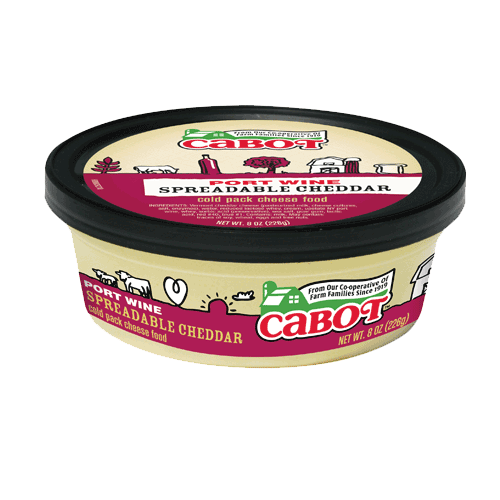 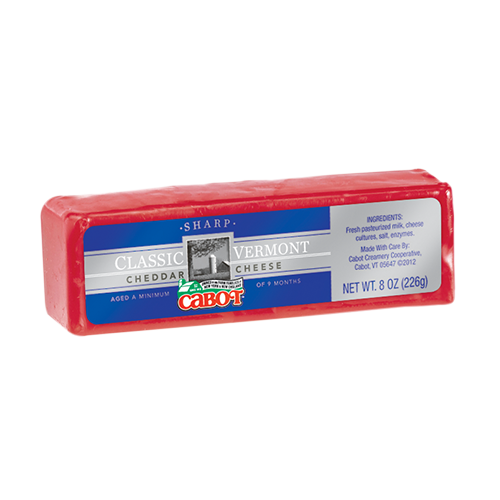 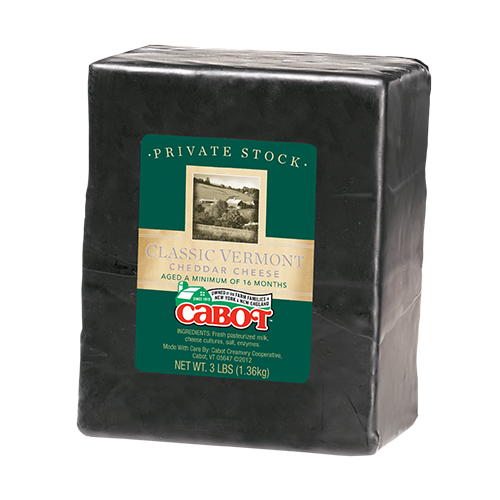 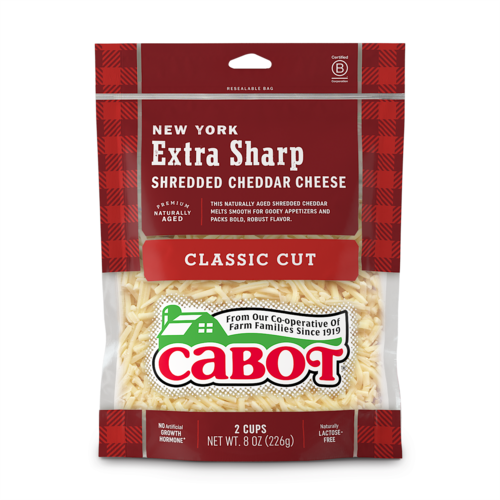 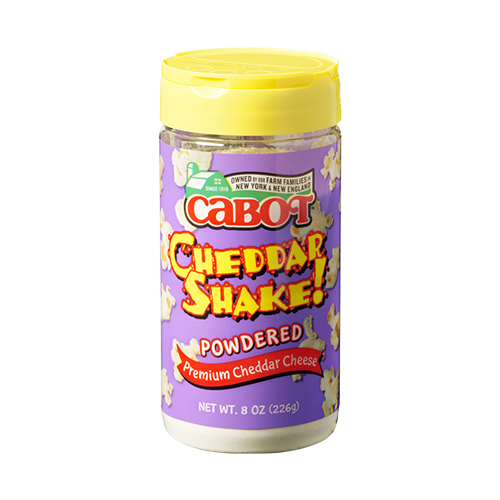 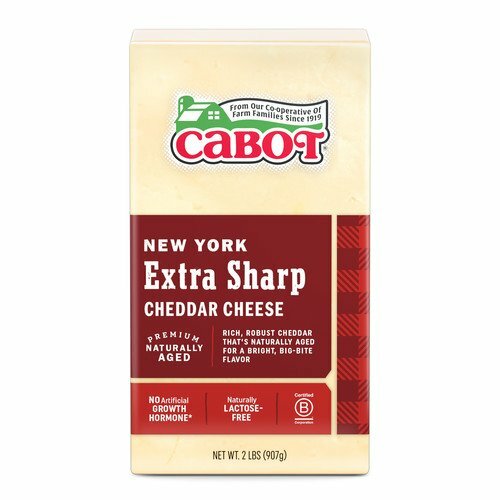 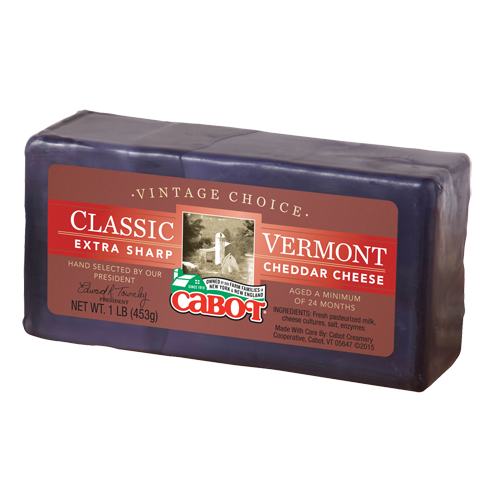 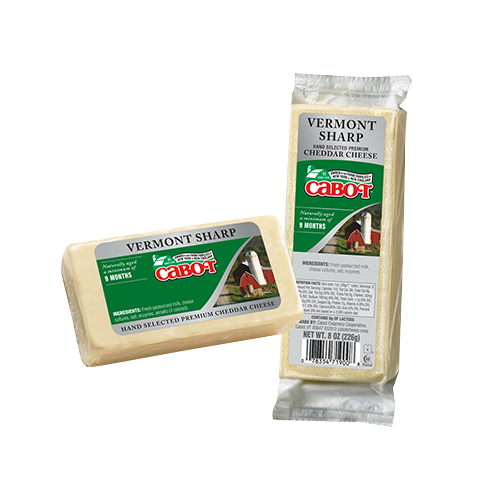 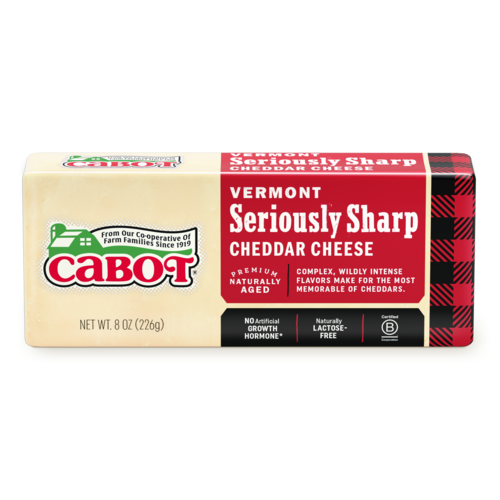 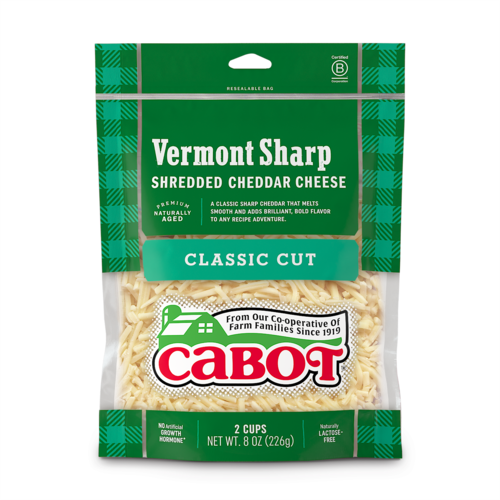 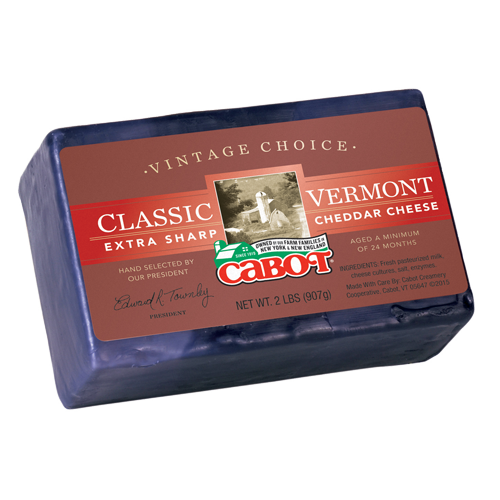 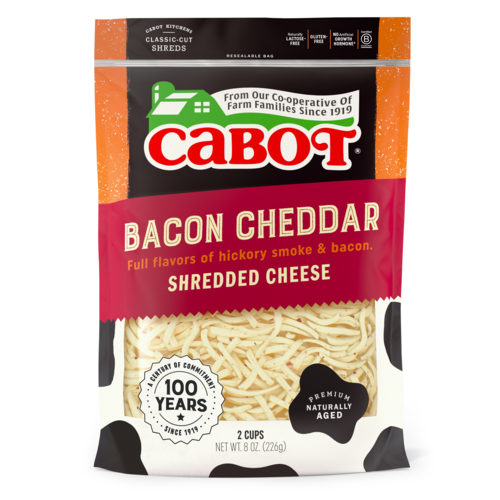 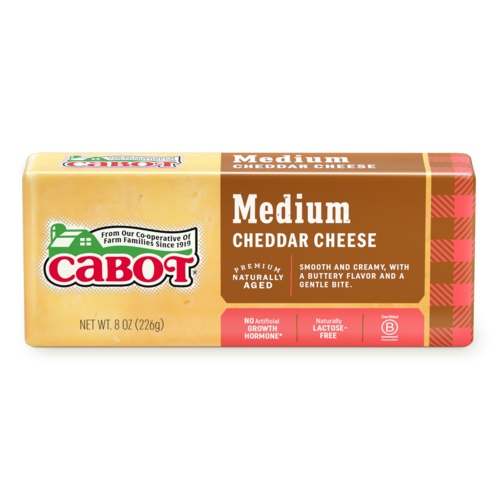 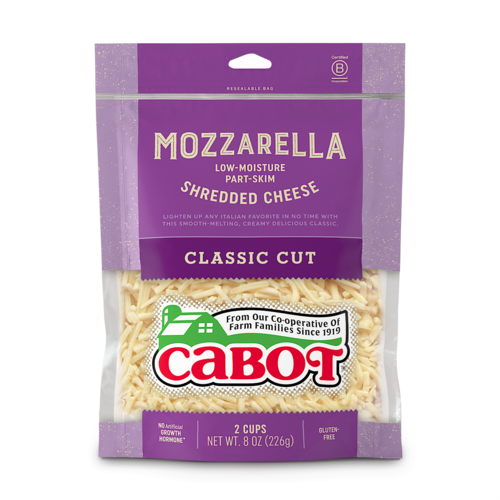 Cabot cheeses are made with love and pride in Cabot and Middlebury, Vermont and Chateaugay, New York, using only the finest, freshest milk from our 800 farm family owners. 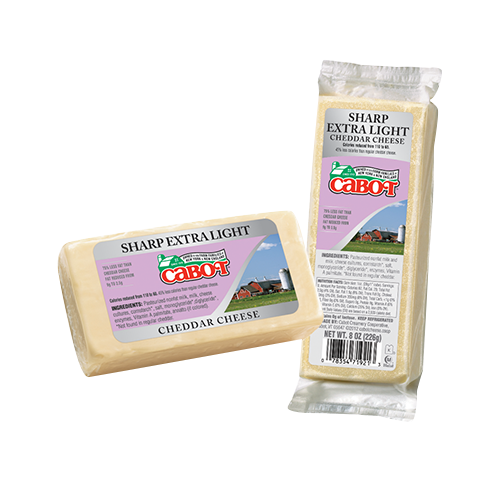 Dairy foods, like cheese, provide important nutrients such as calcium, protein, riboflavin and phosphorus. 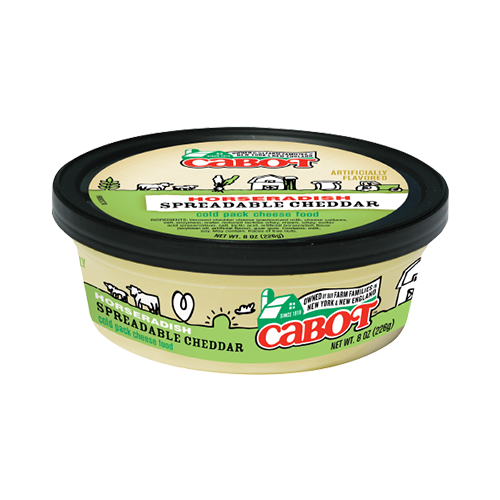 Eating three servings of dairy foods every day is the easiest way to get calcium in your diet. 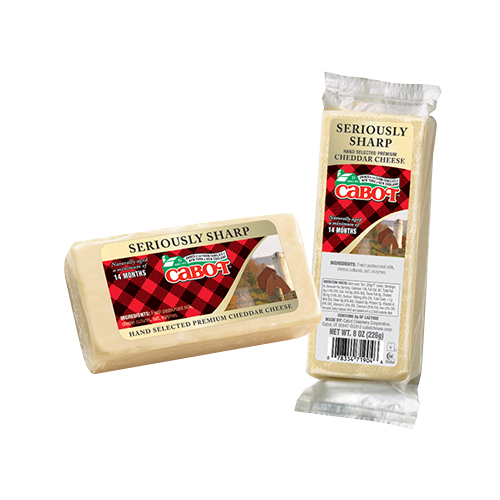 Need another reason to smile and say, “cheese”? 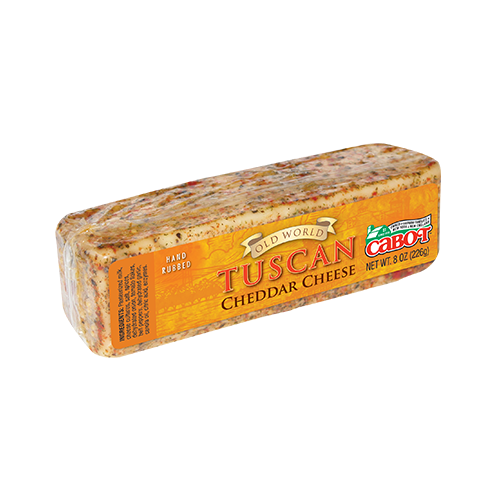 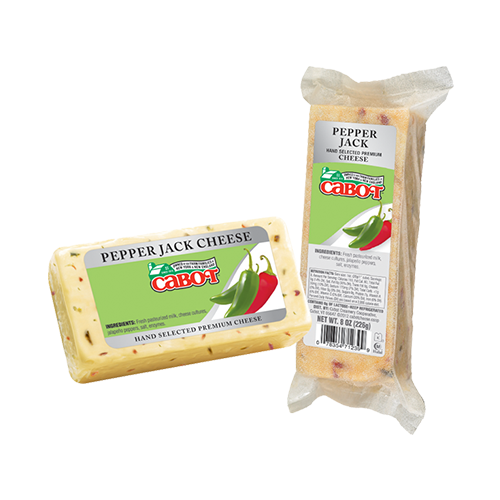 According to a study published in the May/June 2013 issue of General Dentistry, the peer-reviewed clinical journal of the Academy of General Dentistry, eating cheese may help protect teeth against cavities. 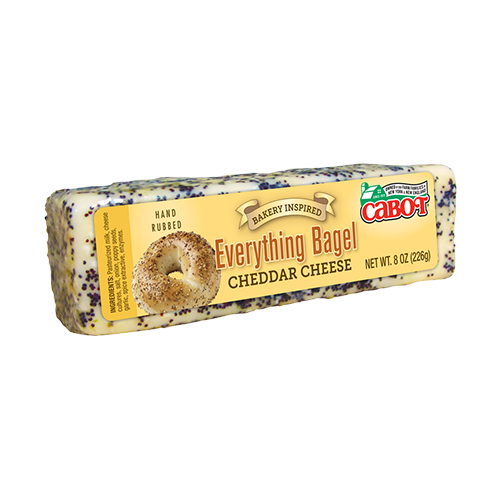 How so, you ask? 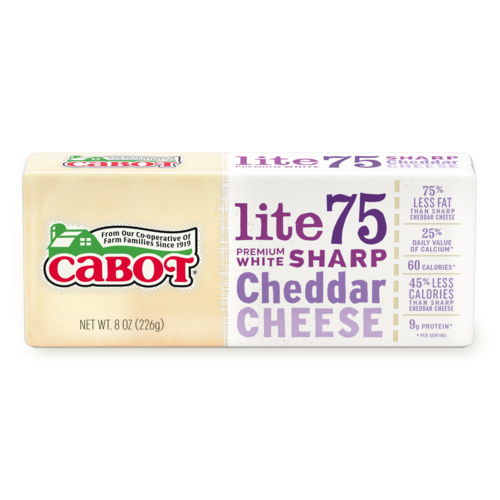 Well, cheeses raise the pH level in your mouth, making it more alkaline—and that neutralizes the plaque acid that leads to tooth decay. 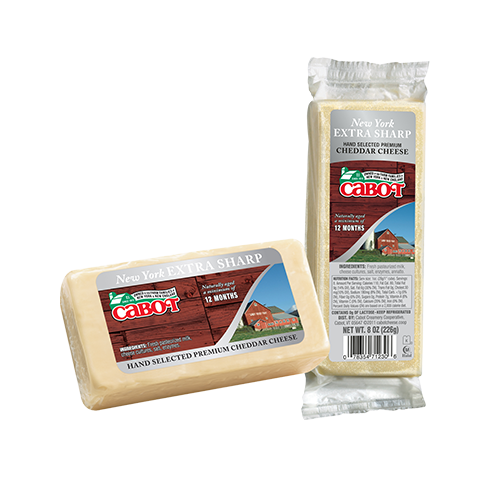 It’s just another good reason to eat cheese—although we still recommend brushing your pearly whites at least twice a day!